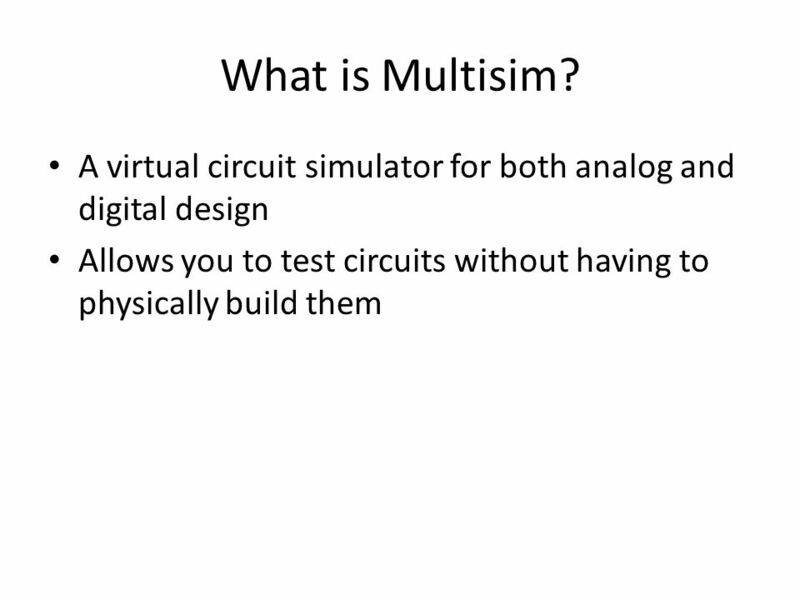 Introduction to Multisim ECE 1020 Professor Ahmadi. 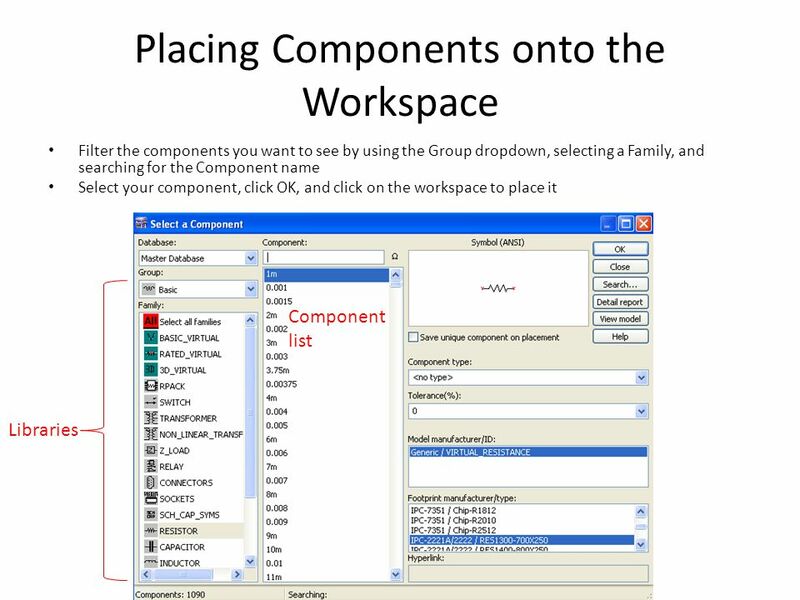 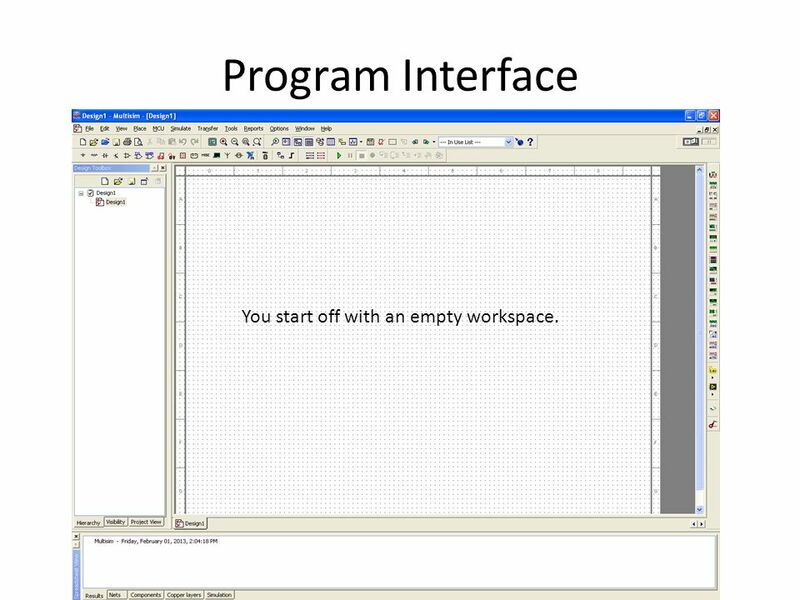 4 Program Interface You start off with an empty workspace. 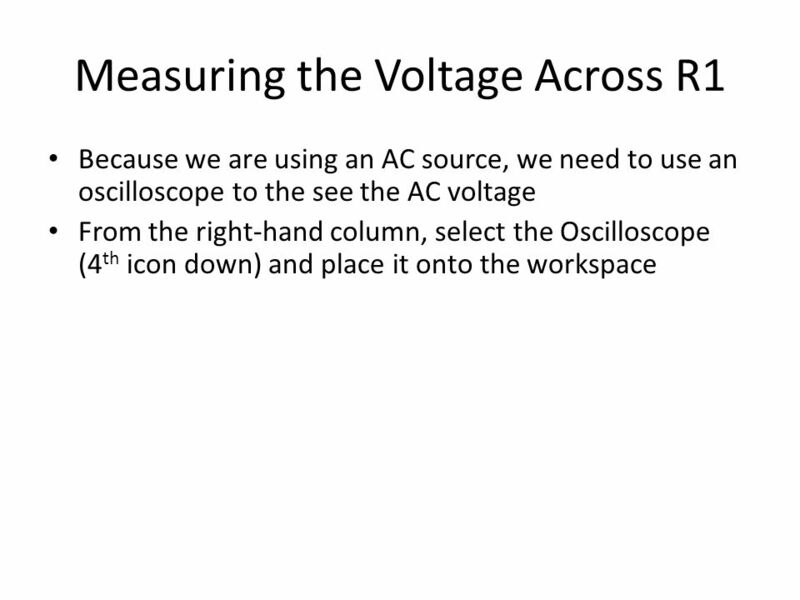 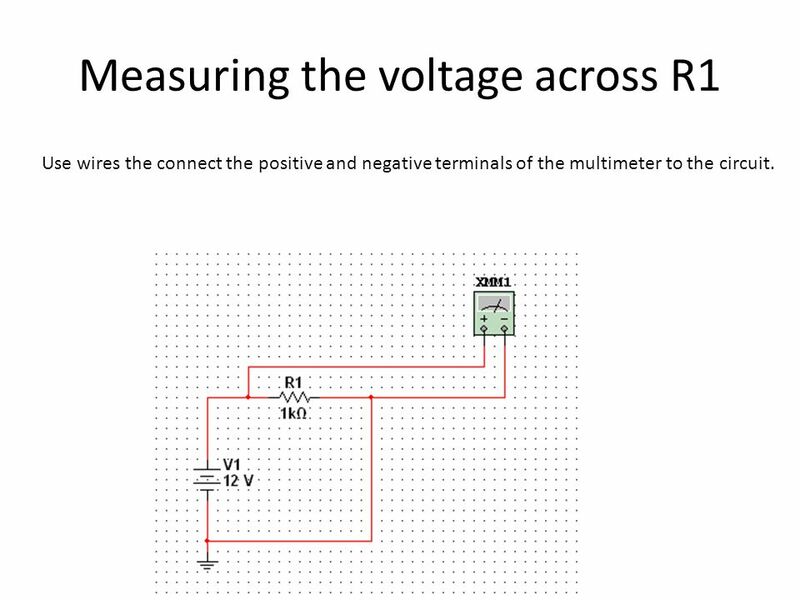 13 Measuring the voltage across R1 Use wires the connect the positive and negative terminals of the multimeter to the circuit. 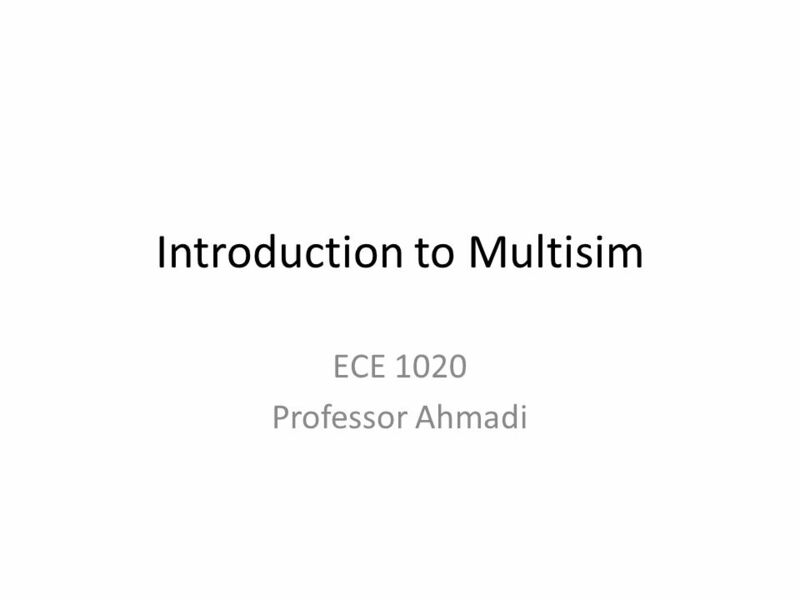 Download ppt "Introduction to Multisim ECE 1020 Professor Ahmadi." 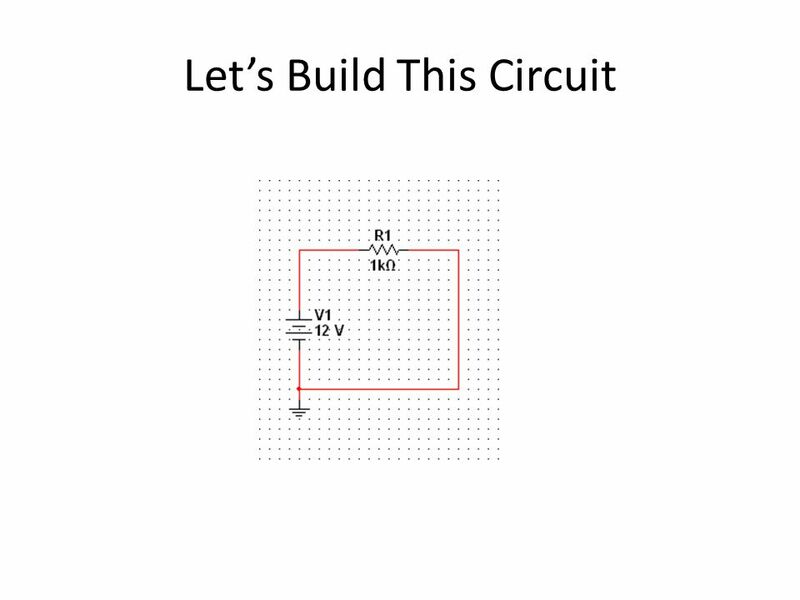 EE188L EE I Laboratory Lab #2 Resistive Circuits. 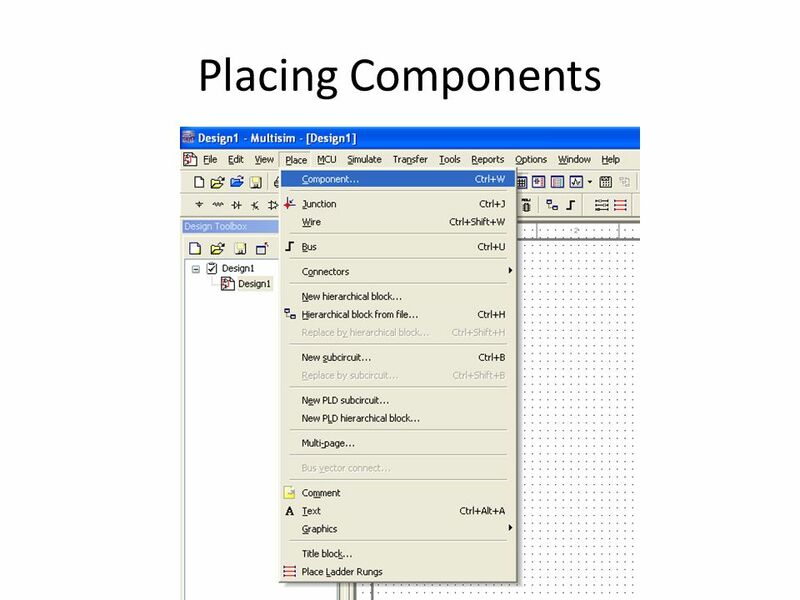 Getting Started with Cadence Compiled by Ryan Johnson April 24, 2002  Open Orcad Capture under Engineering Software  Under FILE, choose NEW, PROJECT. 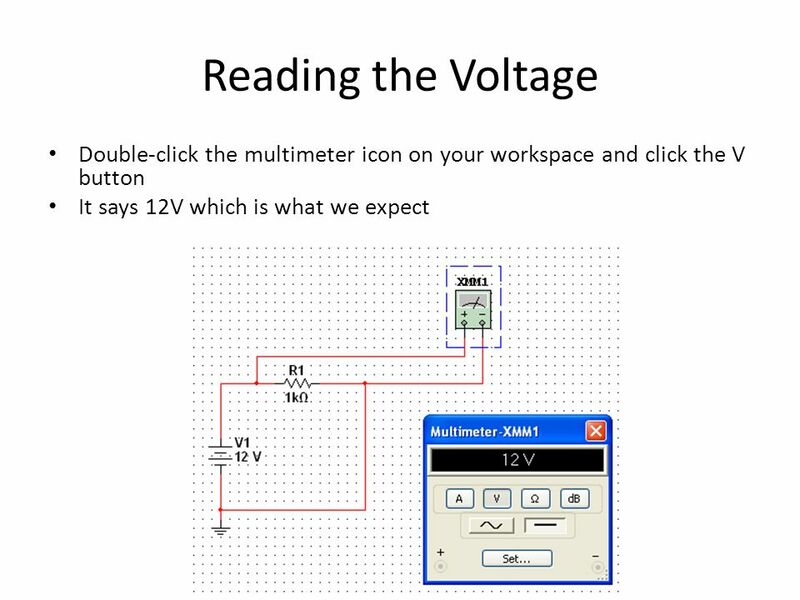 Introduction to electronics lab ENGRI 1810 Using: Solderless prototype board (white board) Digital multimeter (DMM) Power Supply Signal Generator Oscilloscope. 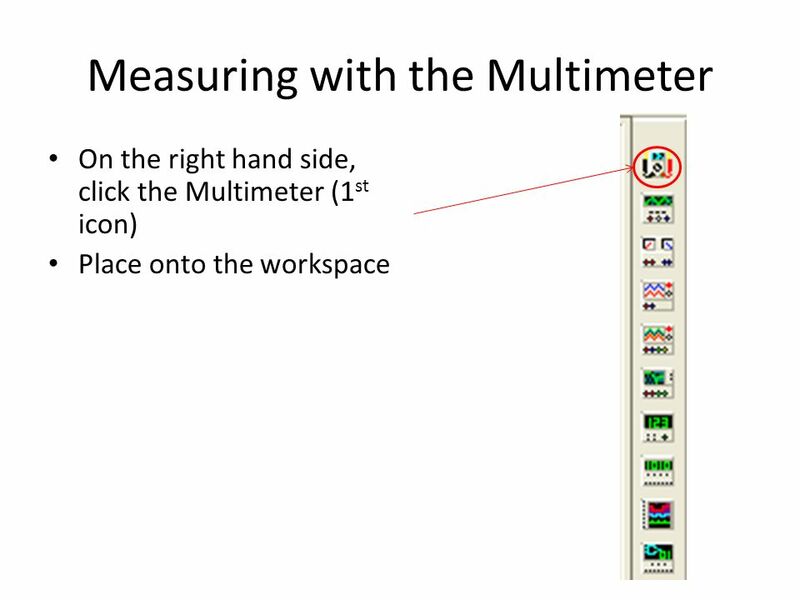 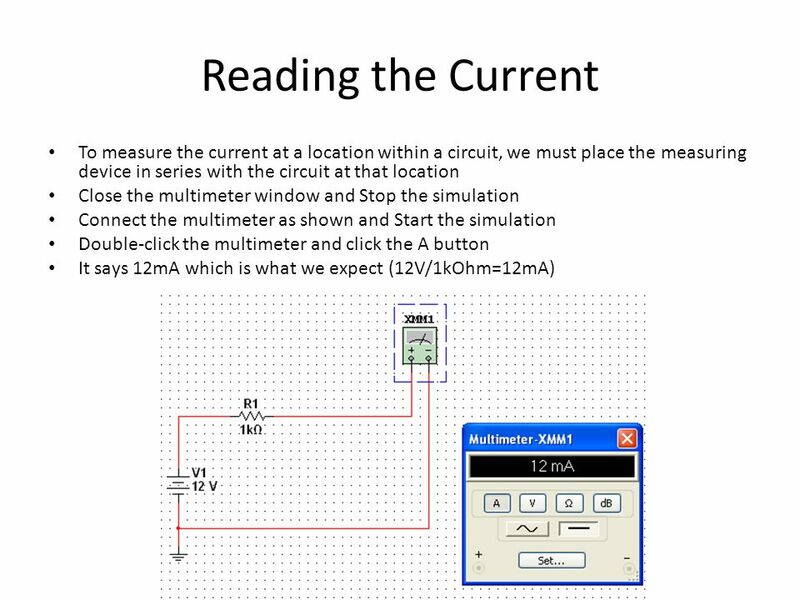 Register Digital Multimeter Usage Click Register to begin the course. 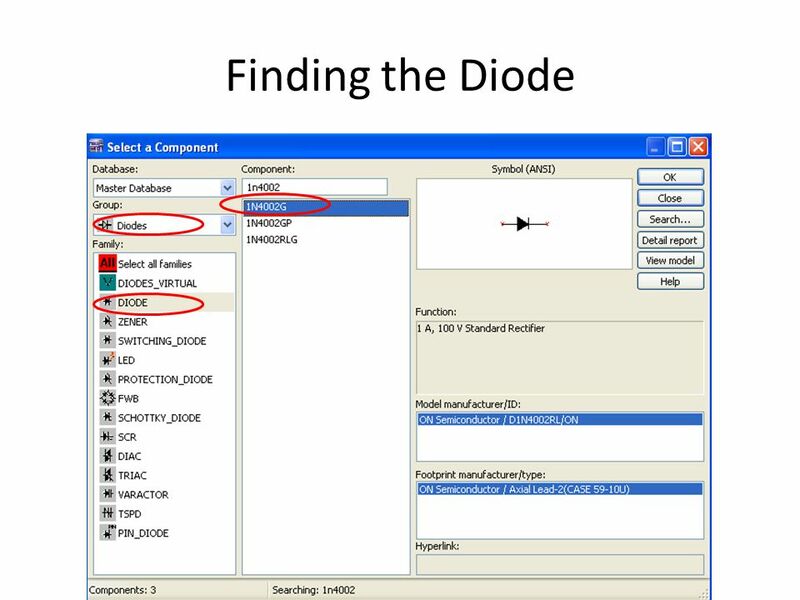 In PSpice. 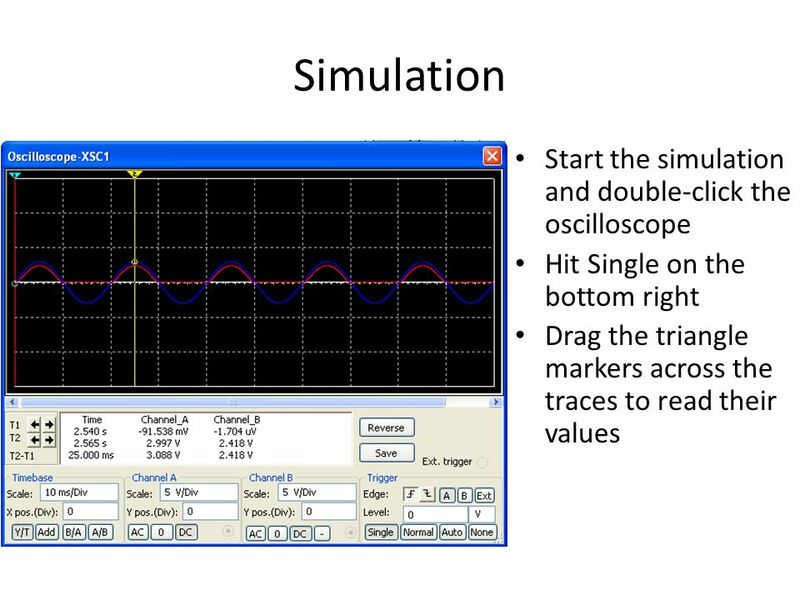 DC Sweep in PSpice A simulation that results in a plot of specified voltages and/or currents in the circuit as a function of a particular variable. 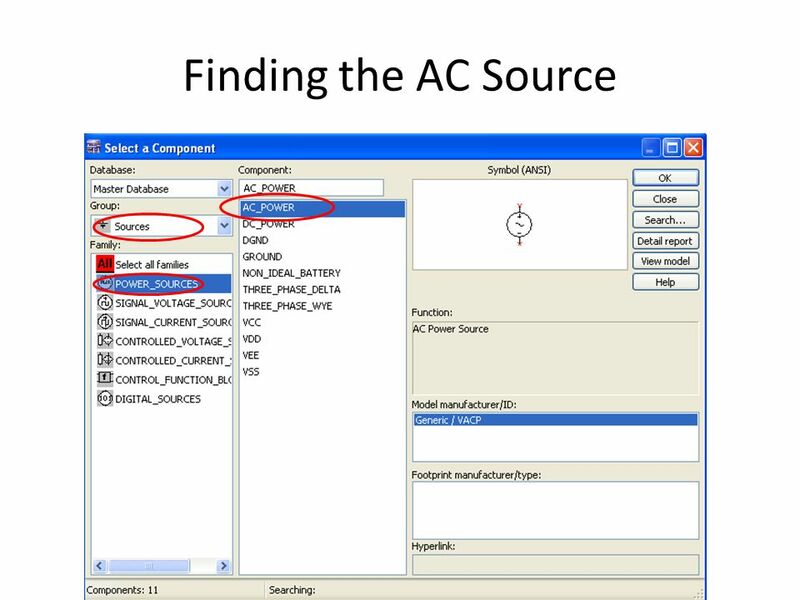 ECE 272 Xilinx Tutorial. 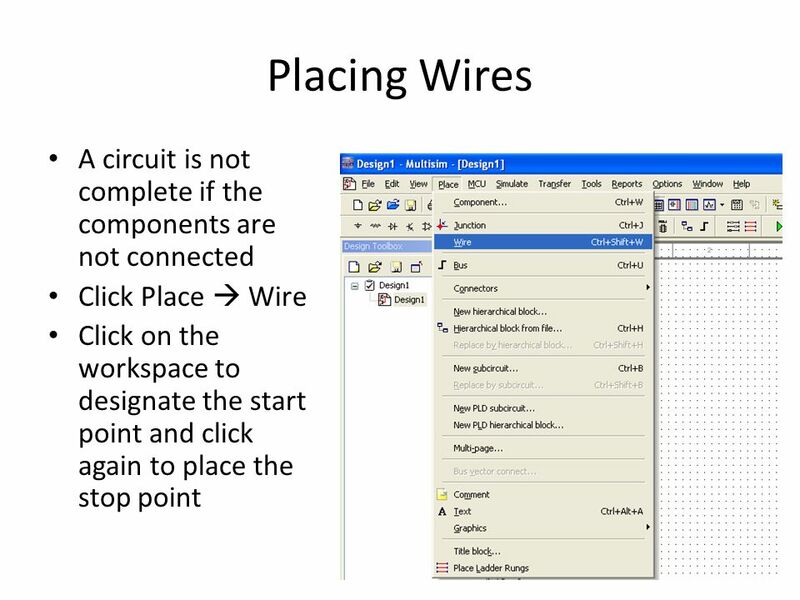 Workshop Goals Learn how to use Xilinx to: Draw a schematic Create a symbol Generate a testbench Simulate your circuit. 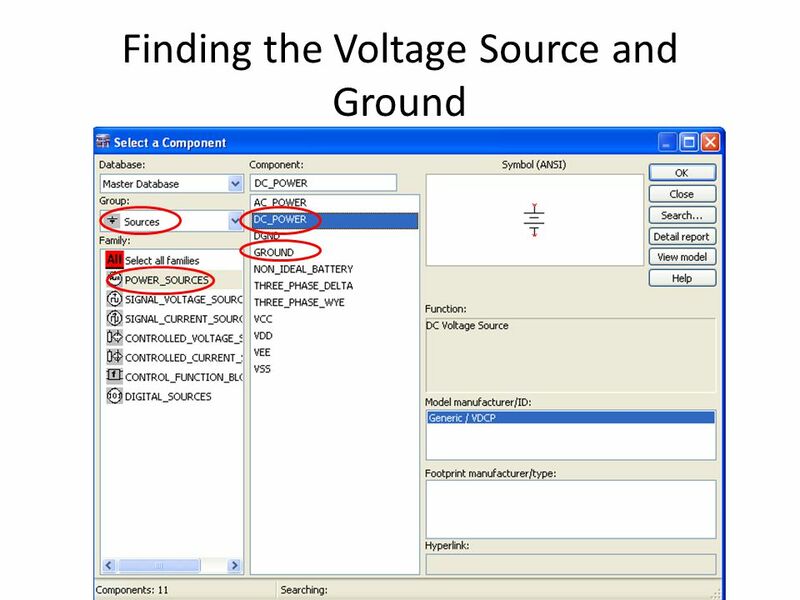 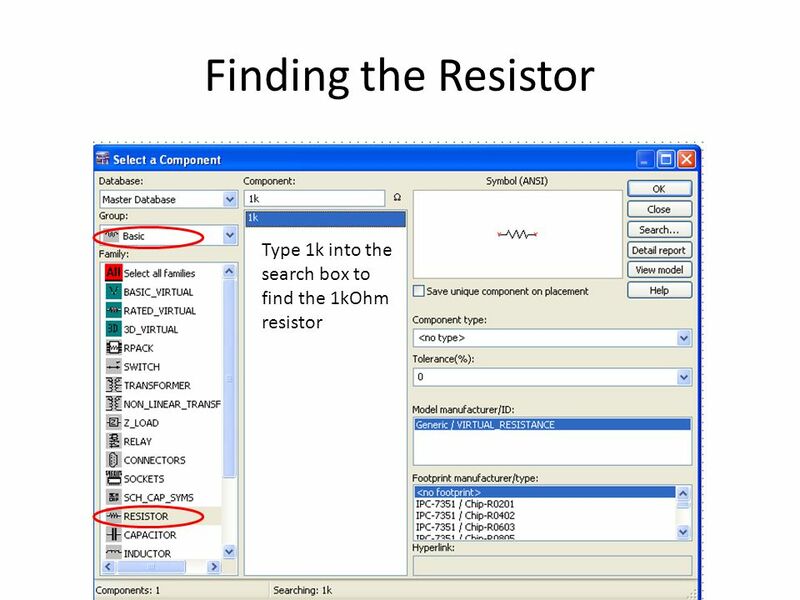 How to use the VHDL and schematic design entry tools. 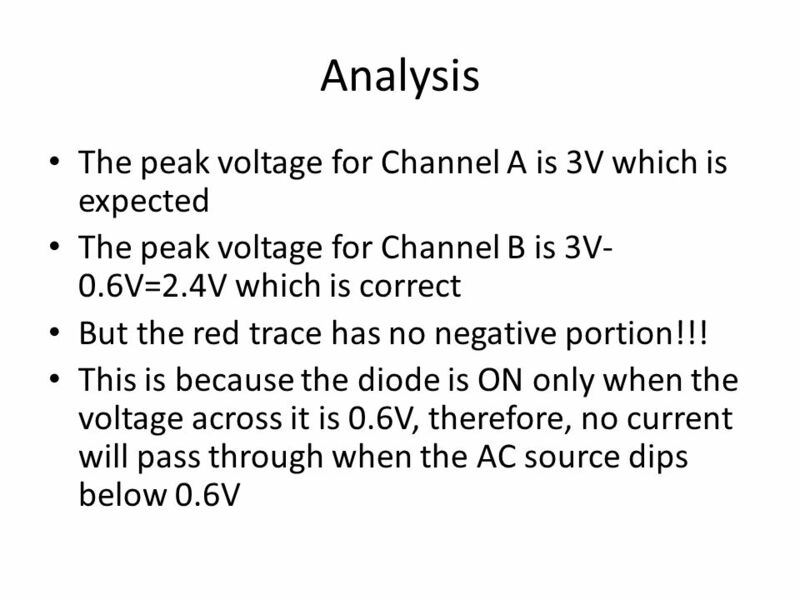 EE 2303 Week 2 EE 2303 Week 2. 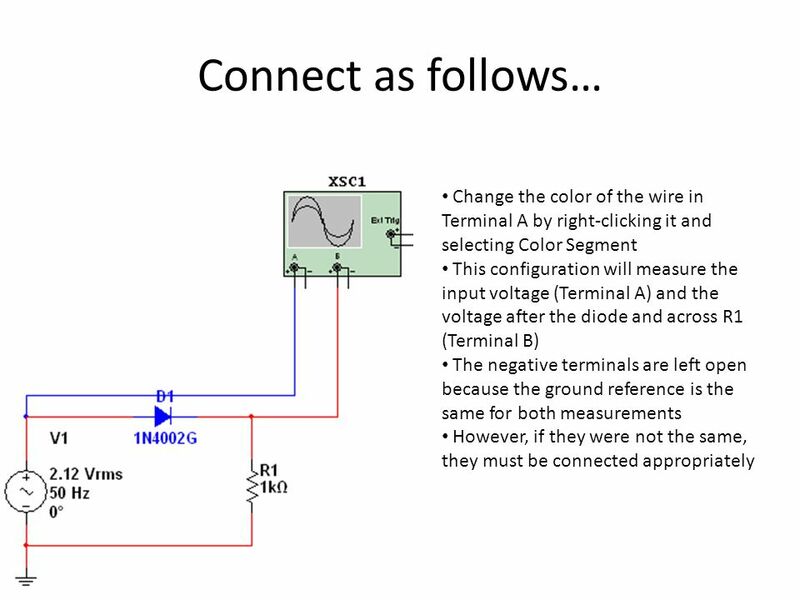 Overview Kirchoff’s Current Law (KCL) Kirchoff’s Voltage Law (KVL) Introduction to P-spice. 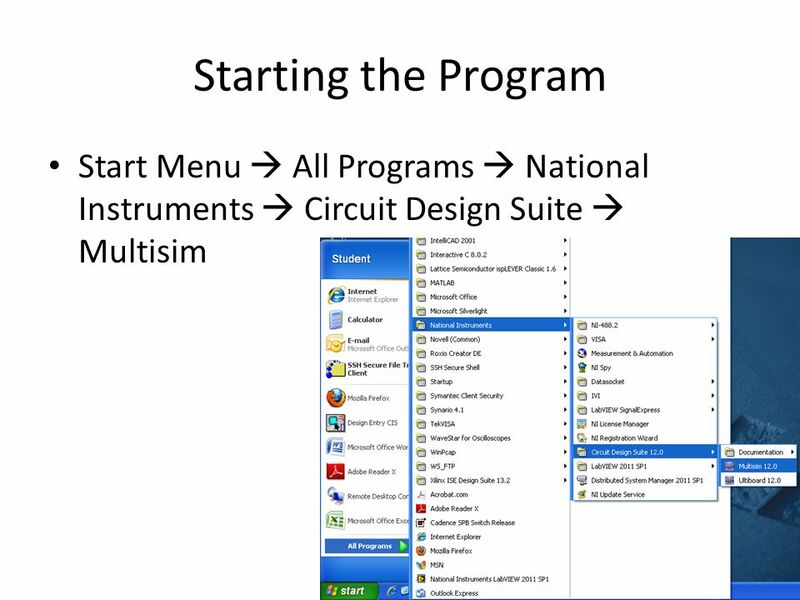 Getting Started with Cadence Prepared by Ryan Johnson, 2002  Open Orcad Capture under Engineering Software  Under FILE, choose NEW, PROJECT  The following. 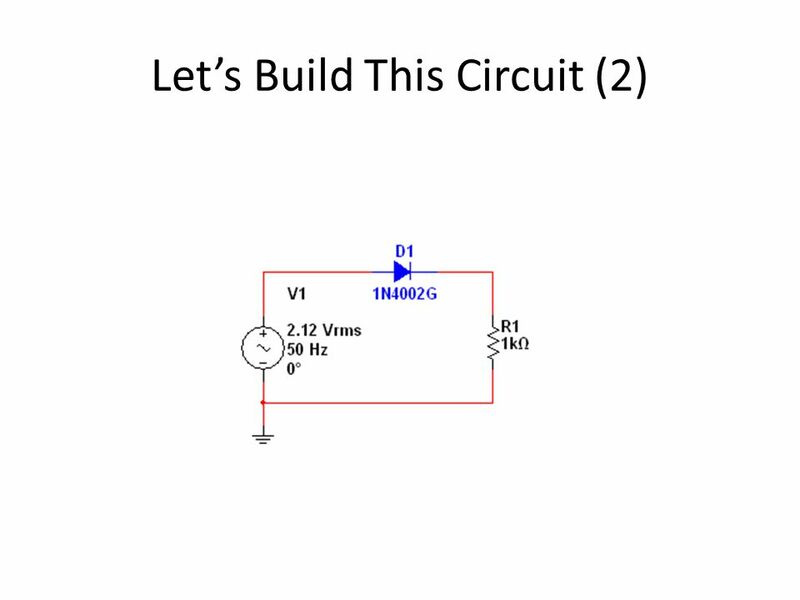 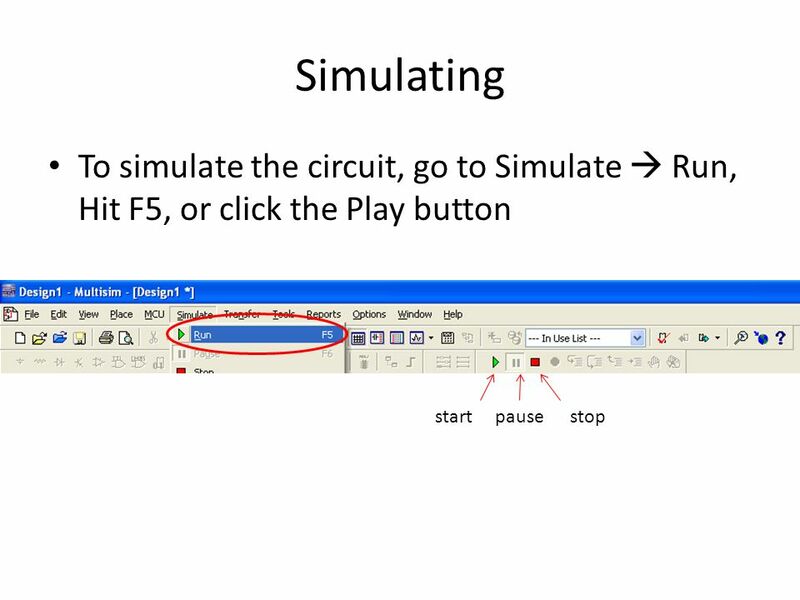 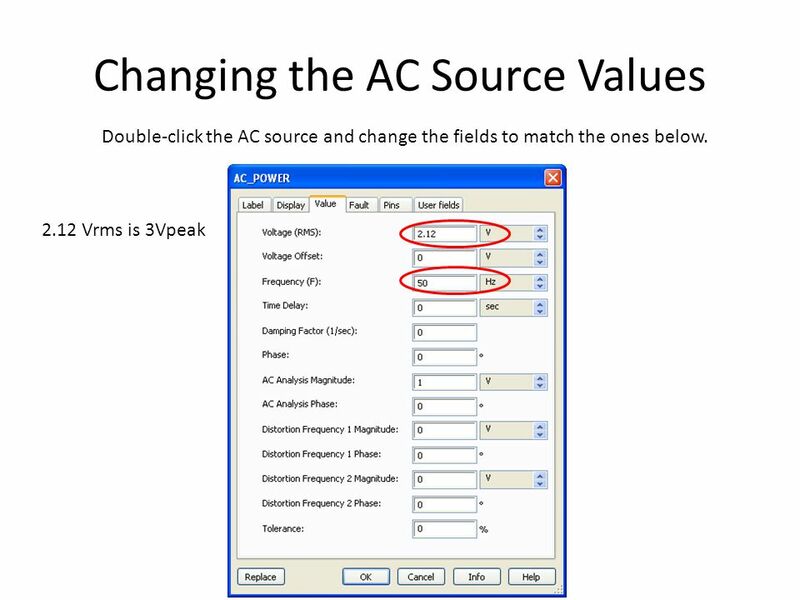 1 Lab #9 AC Circuits Activity #1 – Simulating a Low Pass Circuit Activity #2 – Building & Testing a Low Pass Circuit Activity #3 – Comparison of 3 methods. 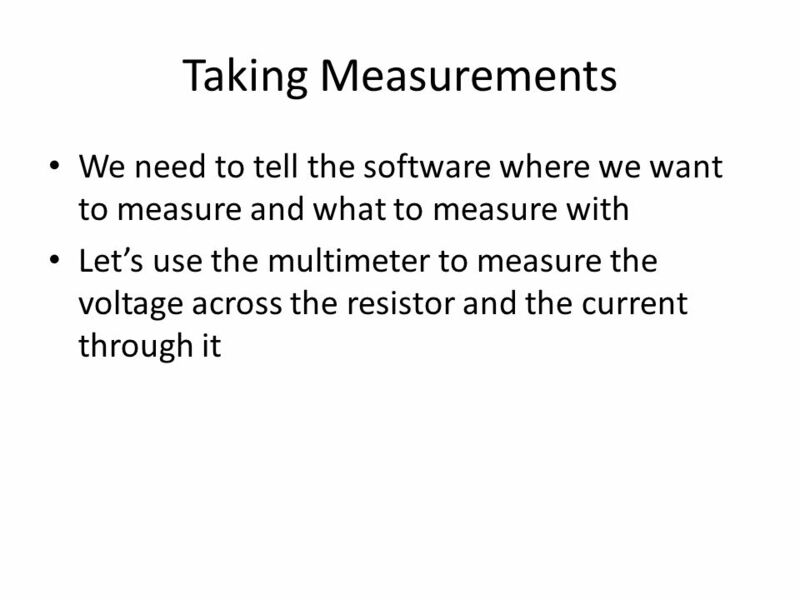 Electric Curcuits and Measurements Basic Electrical components and their functions Measurements of electrical circuits characteristics - Multimeter - Oscilloscope. 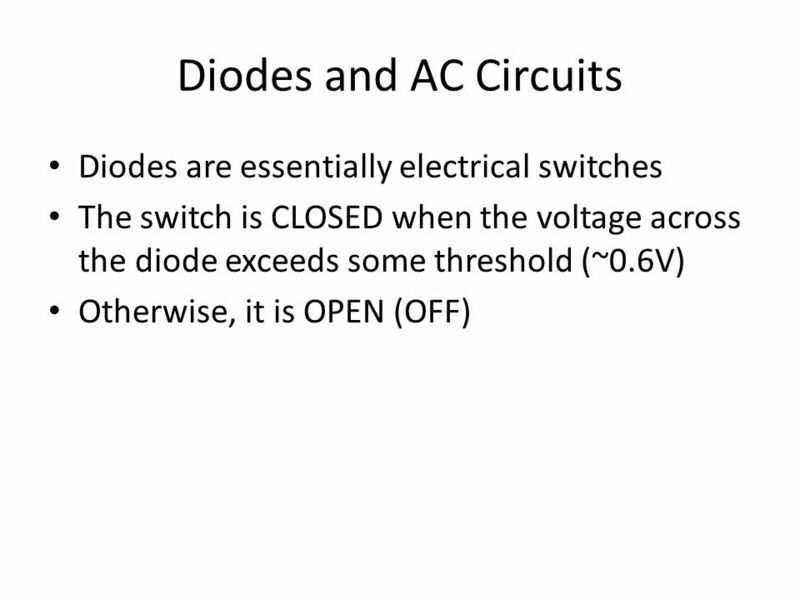 George Washington University DC Circuits Lab Professor Ahmadi ECE 002. 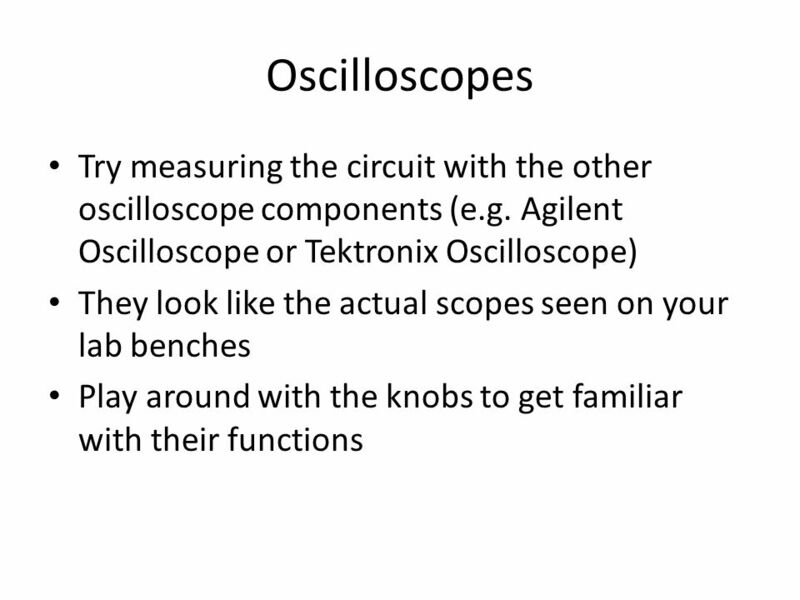 PRACTICAL ELECTRONICS MASTERCLASS (Mr Bell) (COMPUTERS REQUIRED FOR 1 ST & 2 nd PERIOD) 1.